Japan Airlines (JAL) has added coupons and special offers to its NFC-enabled boarding pass service and announced plans to extend operations to include customers of all three of Japan’s mobile network operators. KDDI customers have been able to use the airline’s NFC boarding passes since October 2012, when the carrier became the first Japanese MNO to begin offering NFC services alongside the widely adopted FeliCa technology. The airline will introduce the system, which stores boarding passes on a phone’s NFC SIM card, to NTT Docomo and Softbank Mobile customers later this year. The expansion will utilise both FeliCa and Type A/B NFC in line with the Japanese carriers’ introduction of phones that support both technologies, Toshi Shimizu, Japan Airlines’ director of web sales planning group, told NFC World following a presentation at the Wima NFC conference in Monaco. 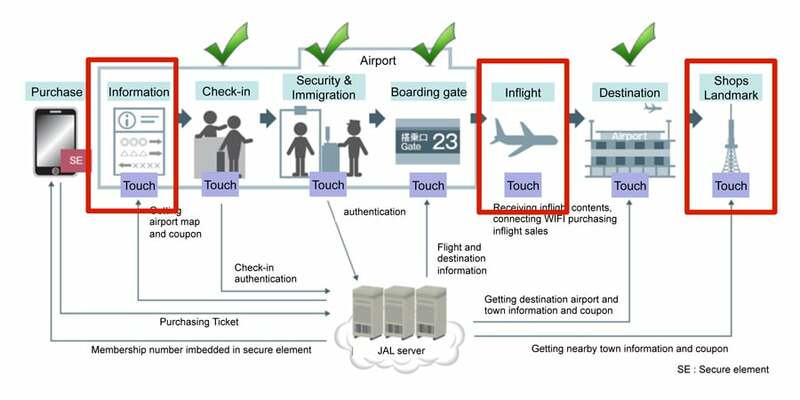 POTENTIAL: How Japan Airlines envisages using NFC. Click to enlarge. 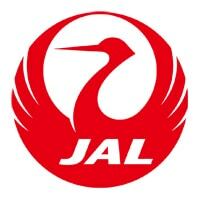 Shimizu also explained that JAL is now offering a coupon service using its smartphone app. “We are the first airline to launch a customer servicing coupon solution,” he says.